The round trip to Uncompaghre Peak is just under 8 miles. The hike is relatively easy for a 14er, and provides some of my favorite views of any Colorado summit. The trailhead starts just outside Lake City at the end of a pretty rough Nellie Creek Road, 4WD dirt road accessed from Henson Creek Road. 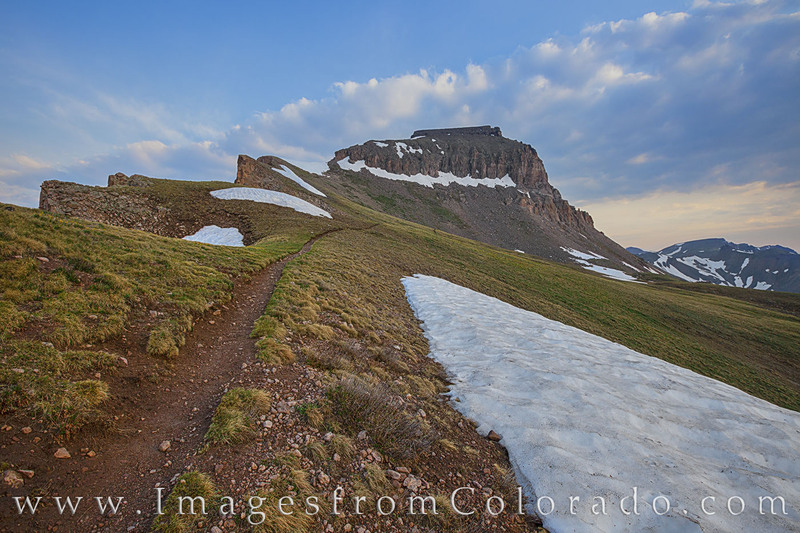 From the trailhead, after walking along Nellie Creek for a short while, the path begins to lead towards the summit of this San Juan 14er, finishing off at 14,309 feet in altitude. Photo © copyright by Rob Greebon.